Super 1950s/1960s Daschund figure. An absolute classic for the mid century modern interior. 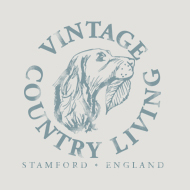 Affectionately known as Treacle, here at Vintage Country Living, this sleek hound will twist you around its little paws! One look from those wide eyes and you’ll be under its spell. Measures approximately 38cm long x 10.5cm tall. We have two should you require a pair. Please email if you'd like both.